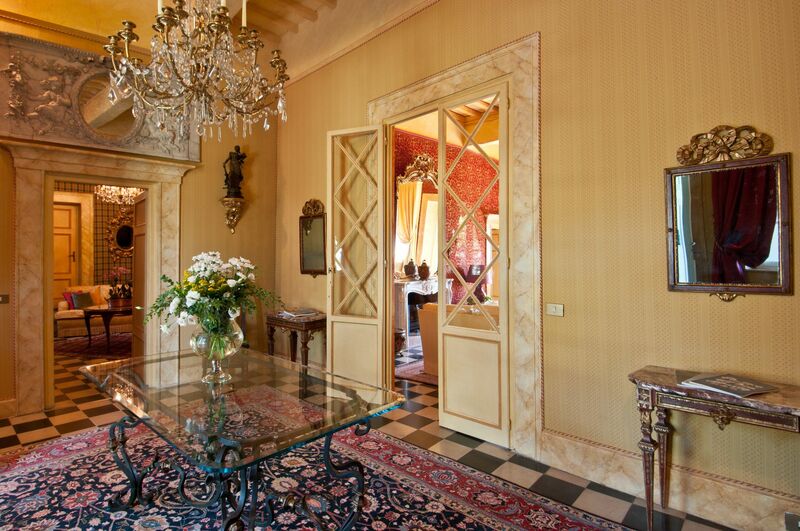 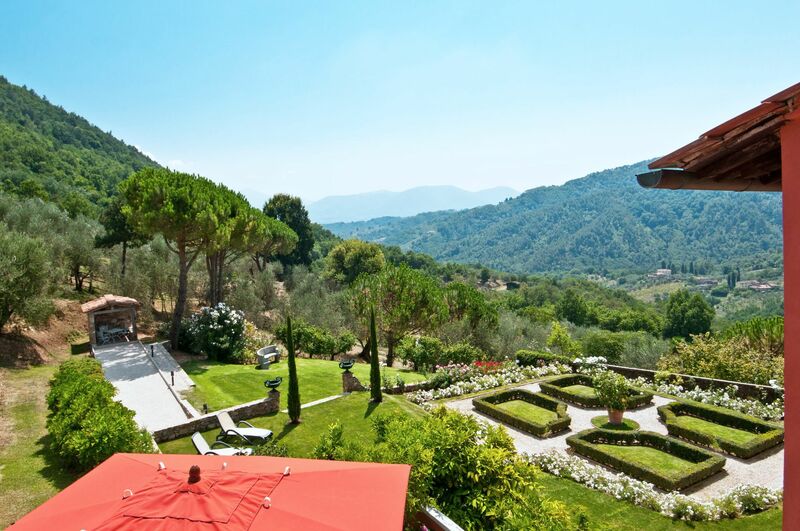 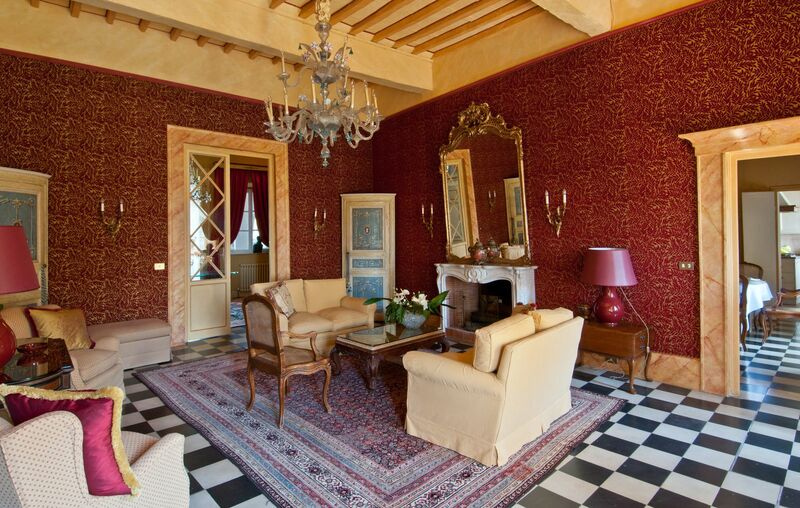 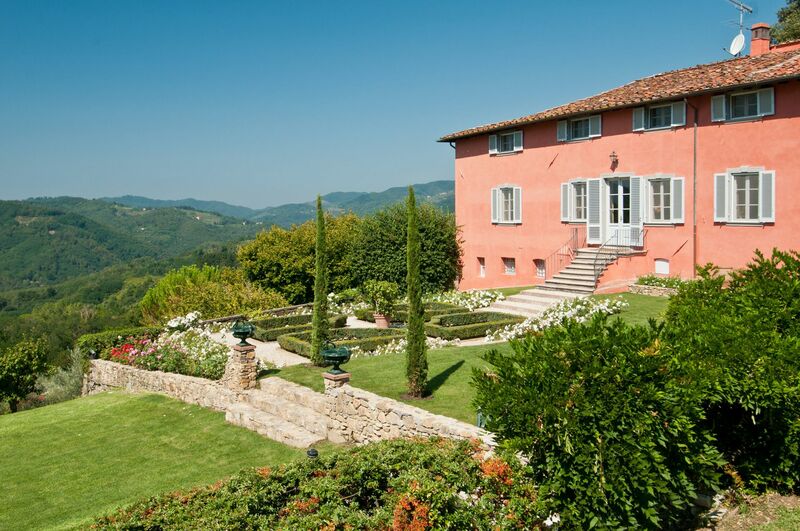 This outstanding villa, together with the adjacent farmhouse, has recently been restored to a very high standard. 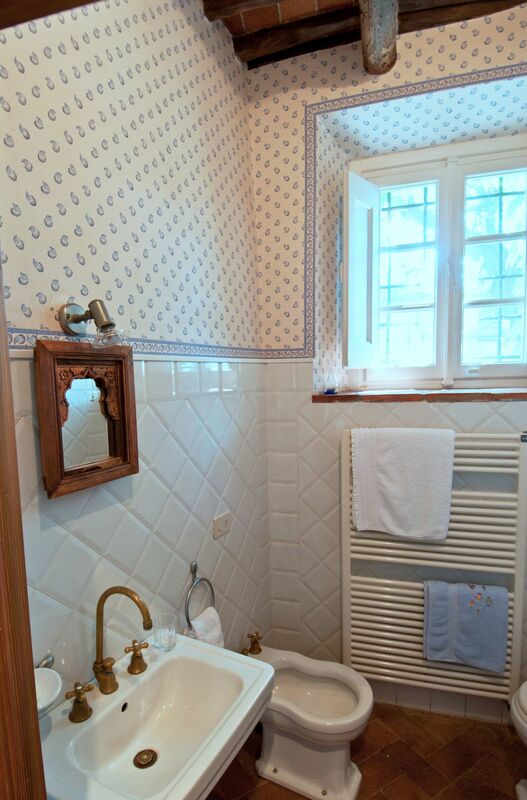 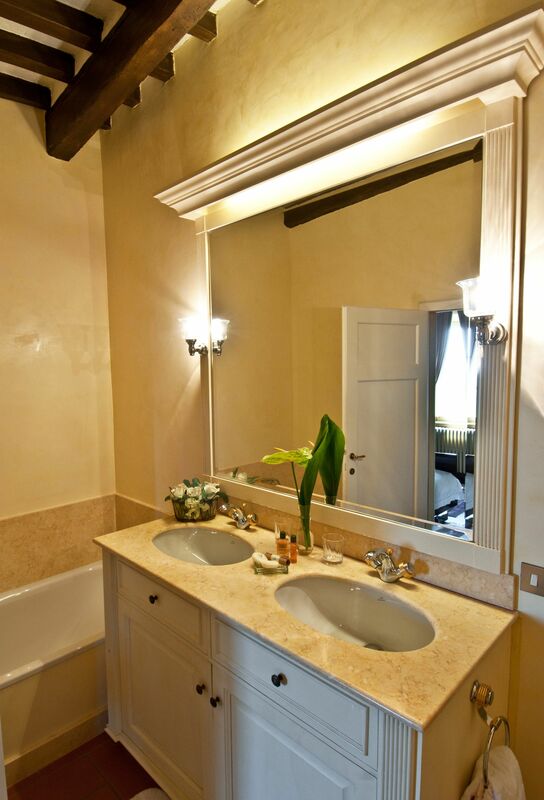 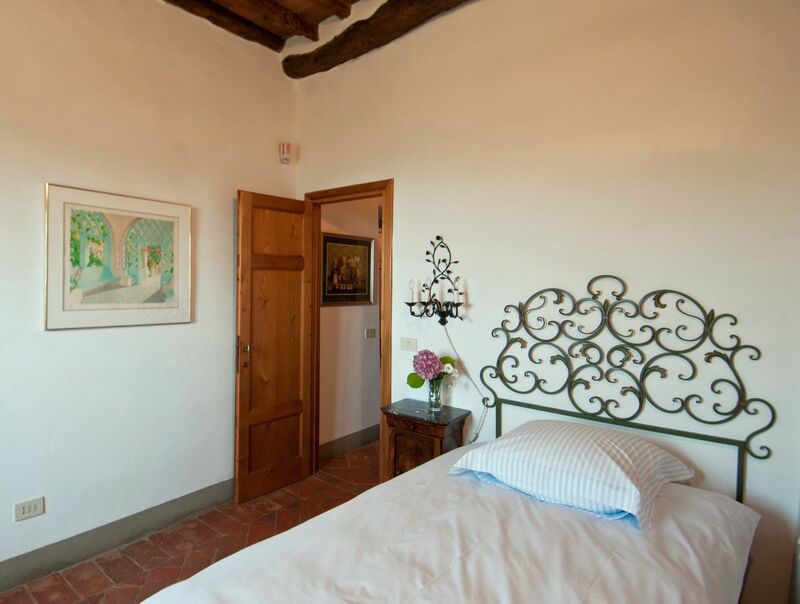 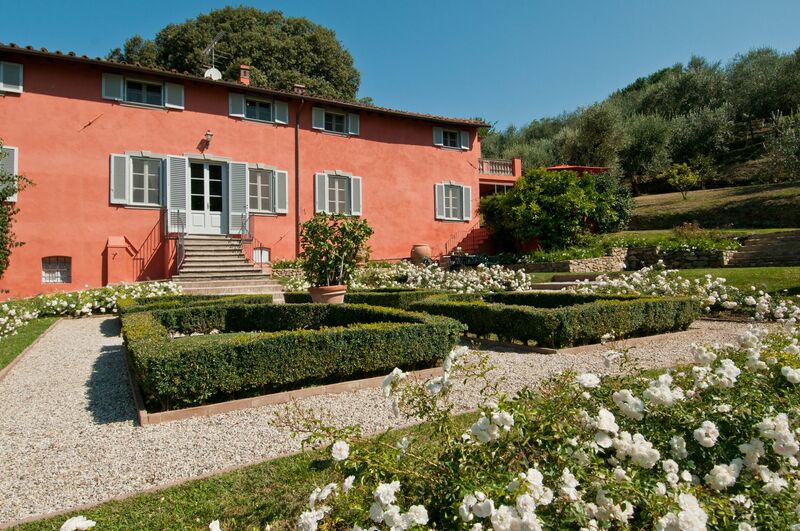 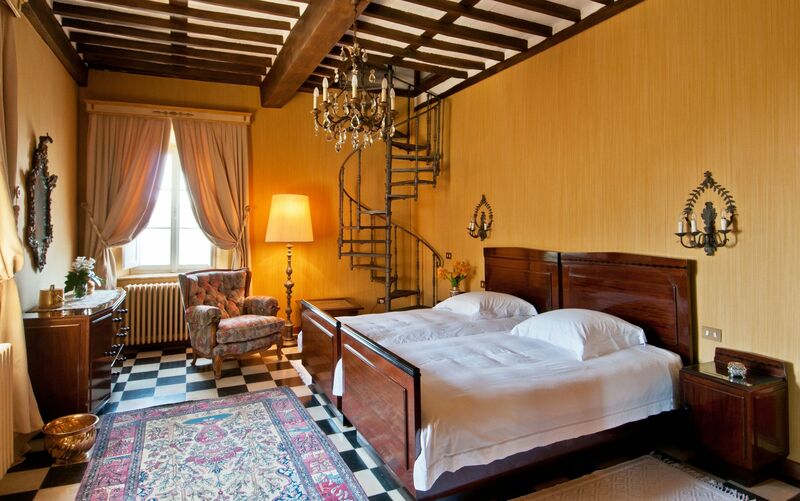 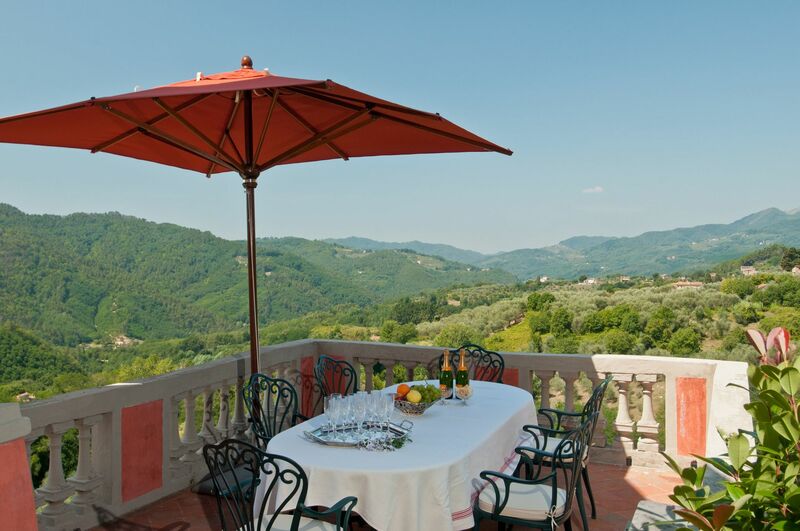 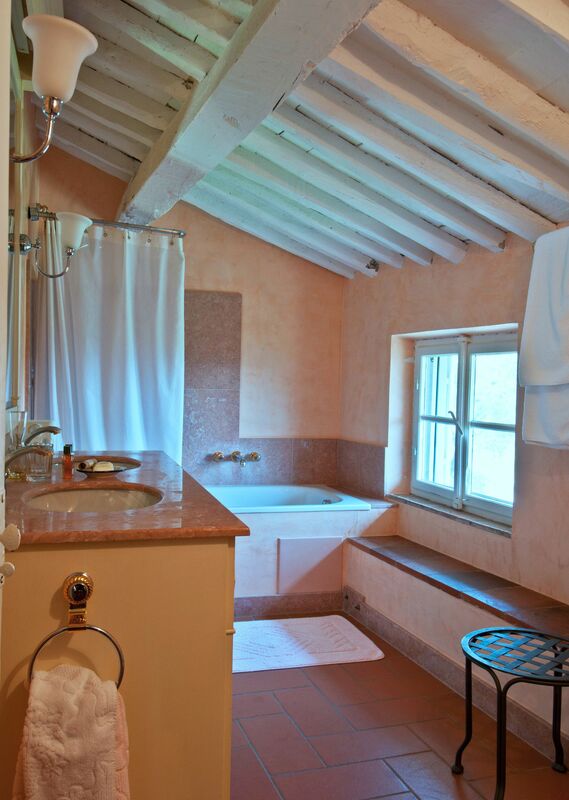 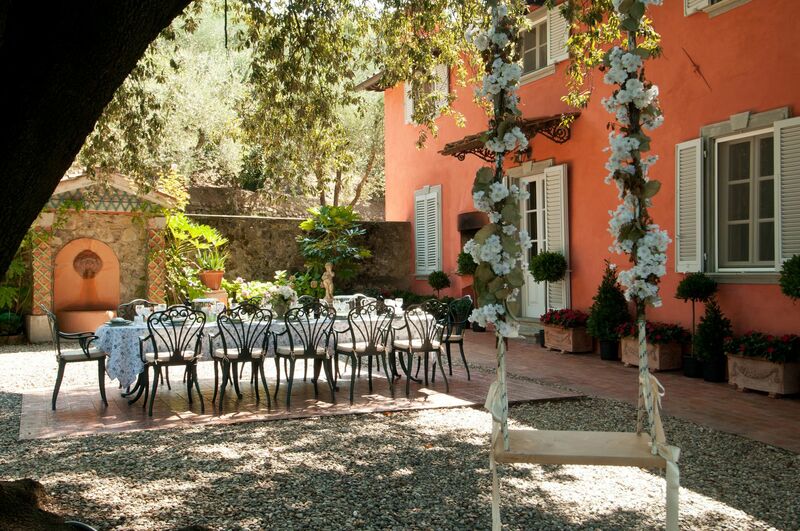 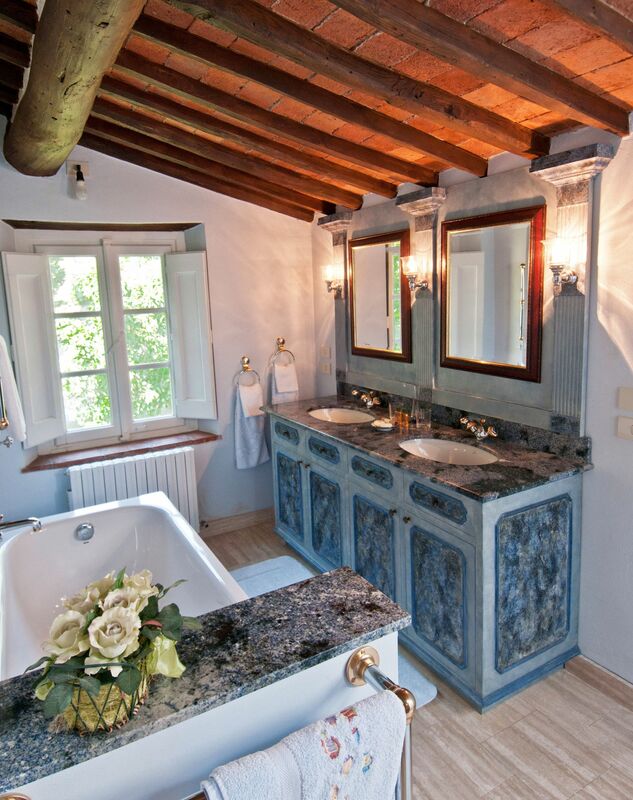 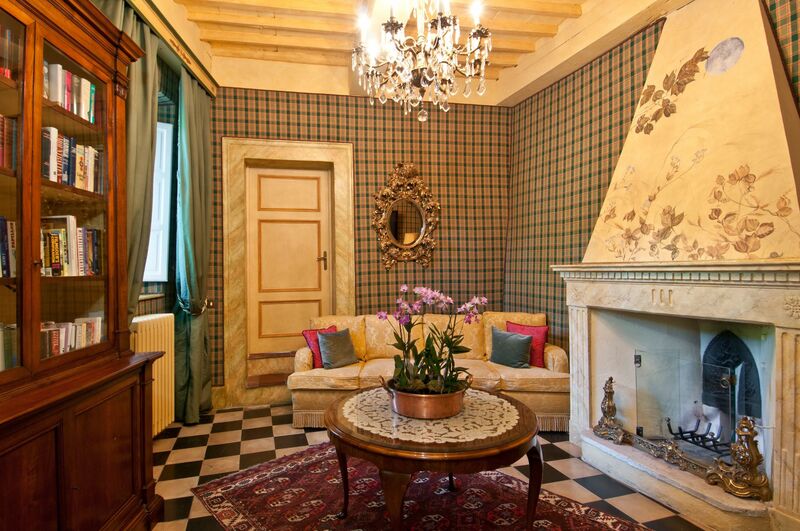 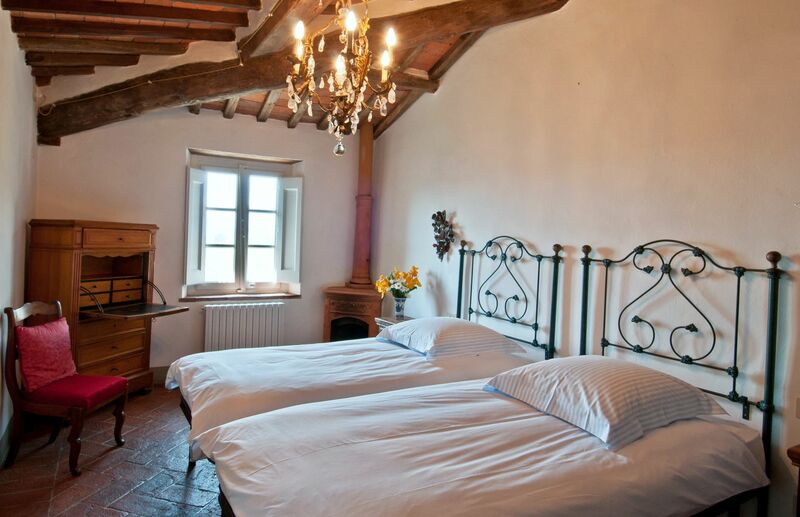 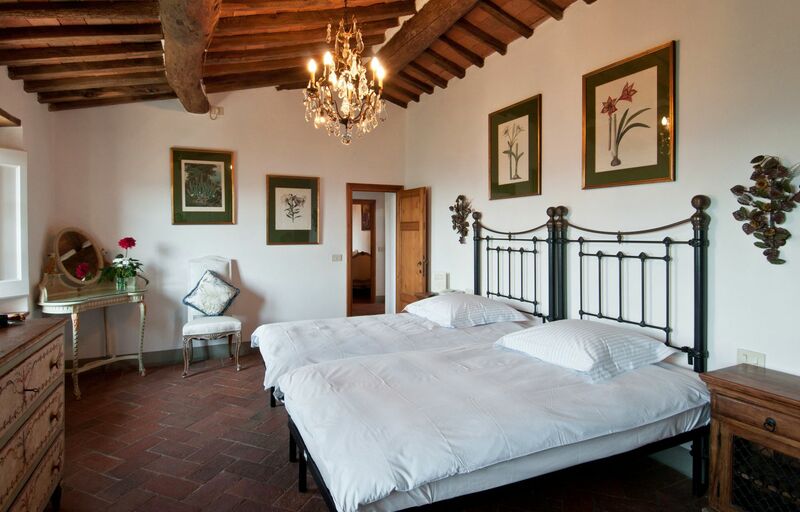 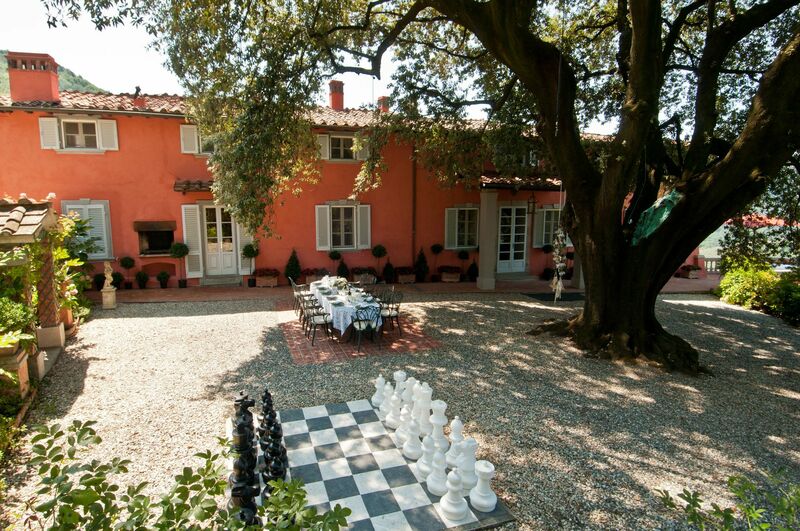 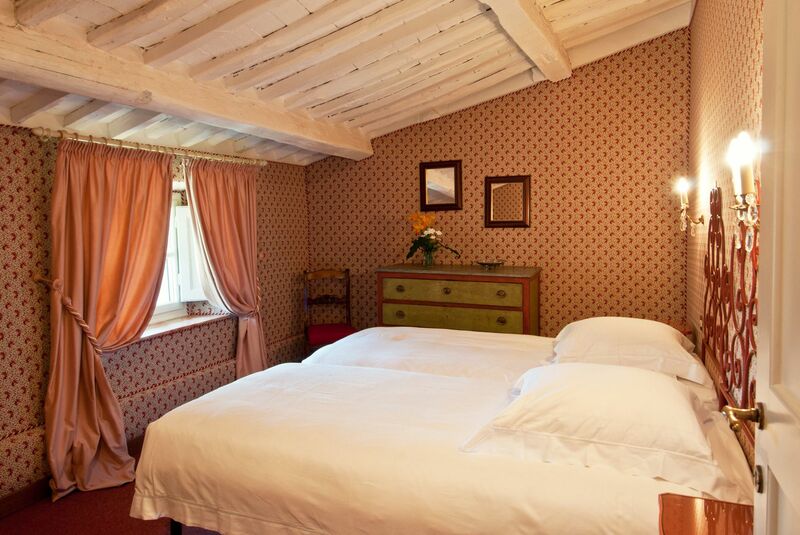 Both houses date from the 16th century, retaining all their historic features as a true Tuscan idyll. 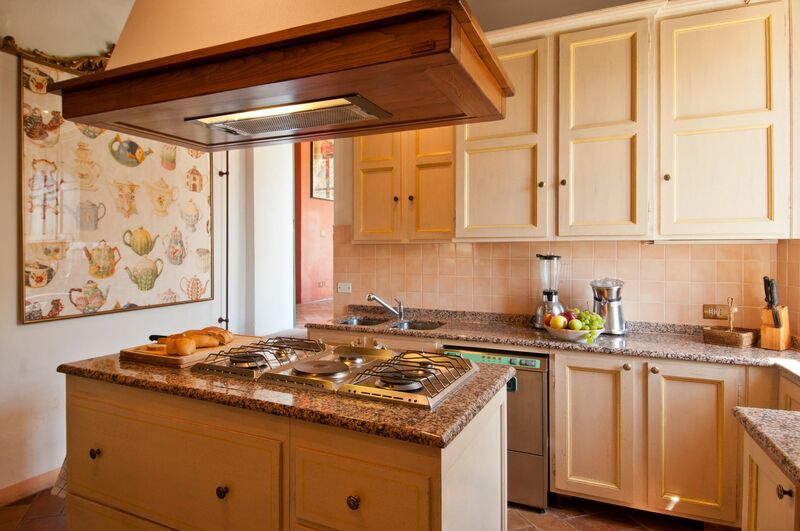 Nonetheless, sufficient cosiness and comfort, combined with modern technology has been introduced to satisfy almost every 21st century requirement, including a very well equipped kitchen and wi-fi internet connection. 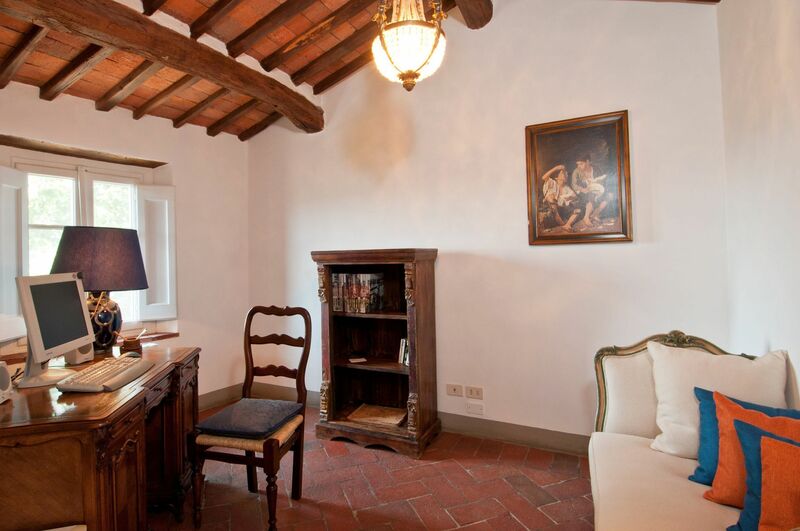 Also a computer is at clients disposal in the guest house. 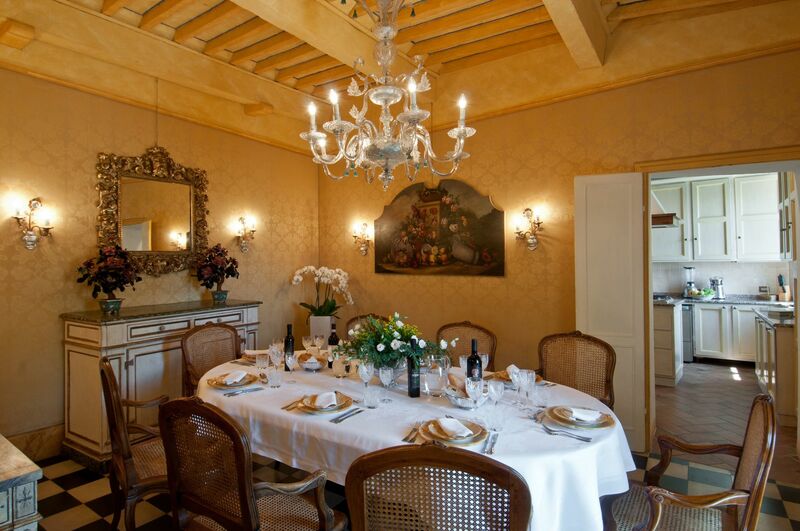 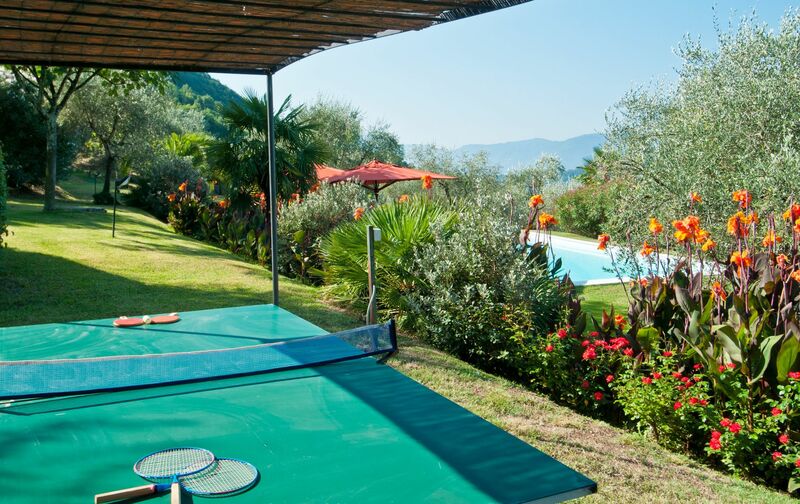 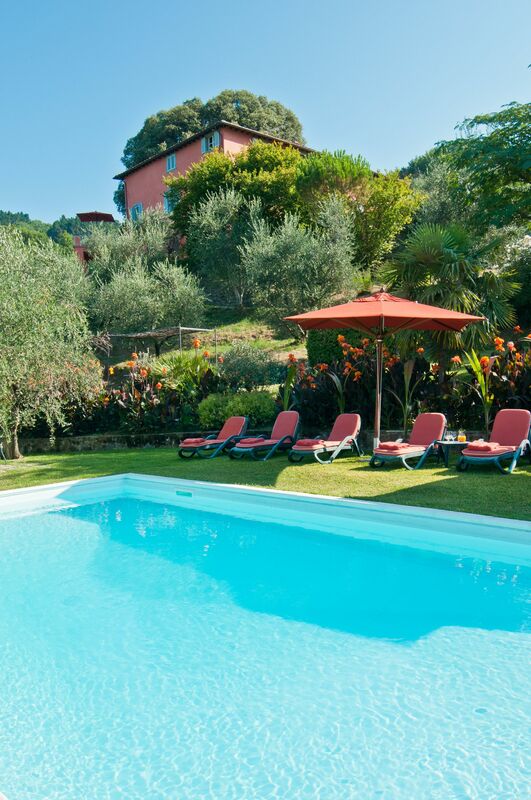 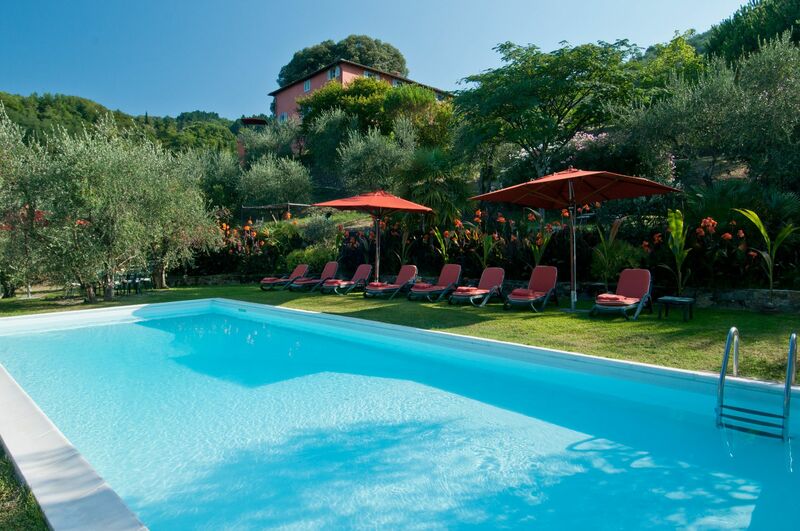 Villa Igea is ideal for discerning groups, who appreciate high quality comfort in a secluded environment. 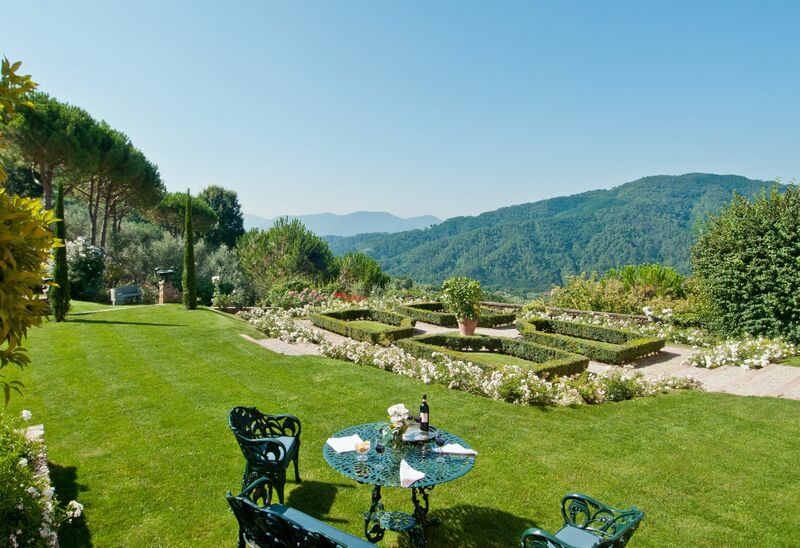 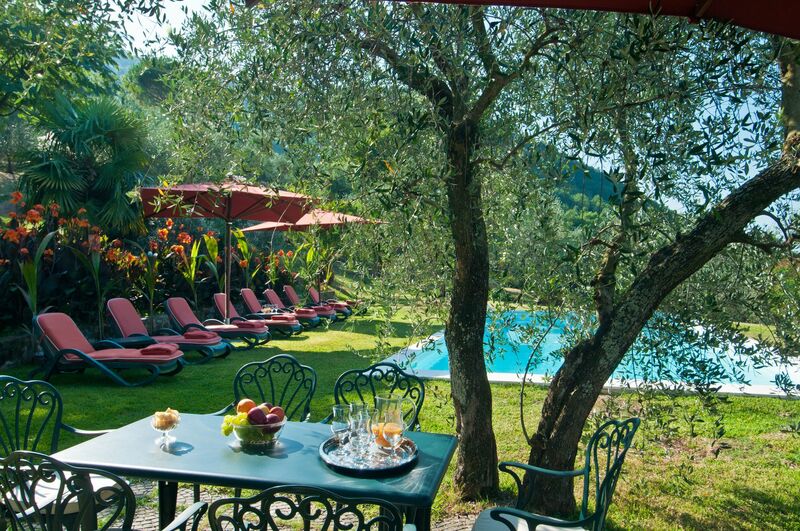 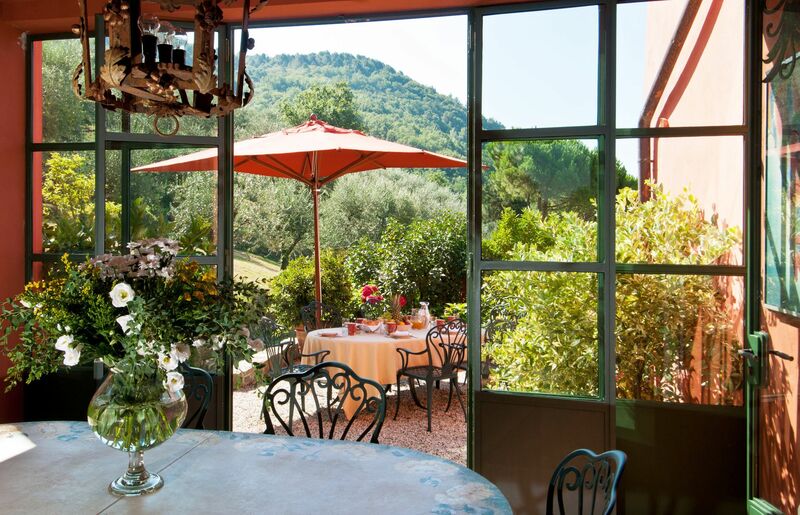 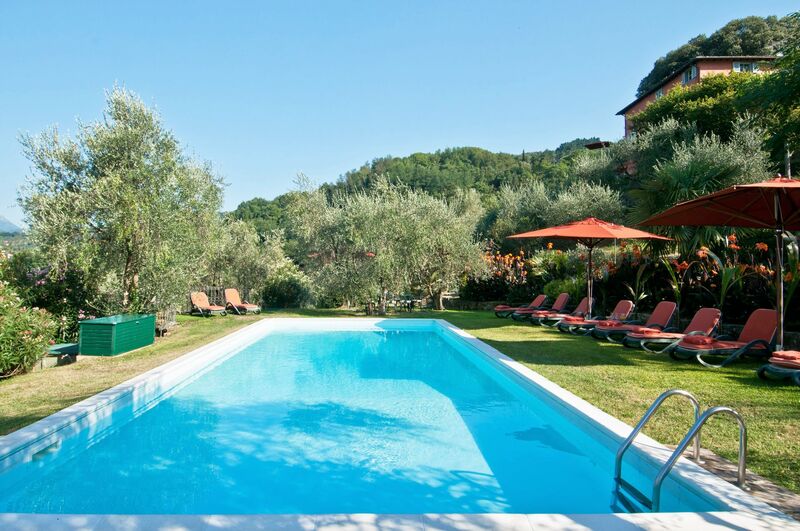 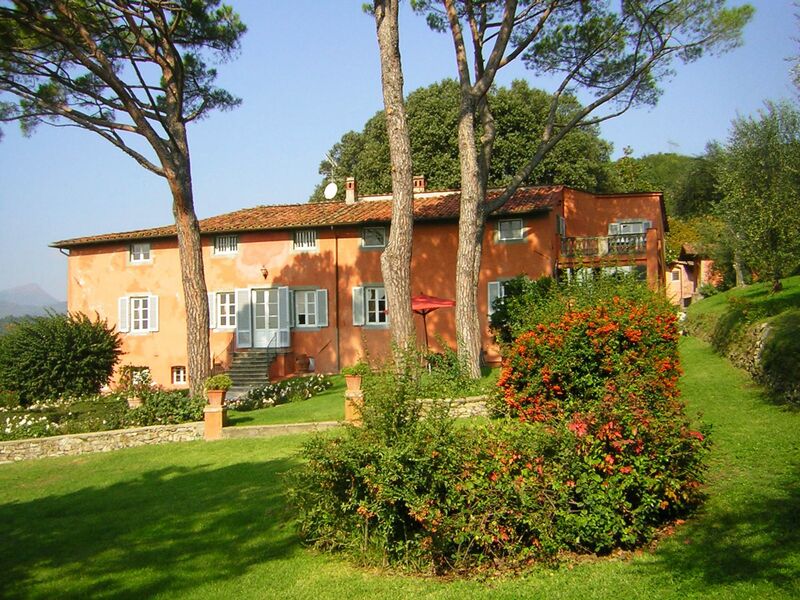 The property is set in a quiet location, high in the hills northwest of Lucca, with spectacular views over the surrounding scenery. 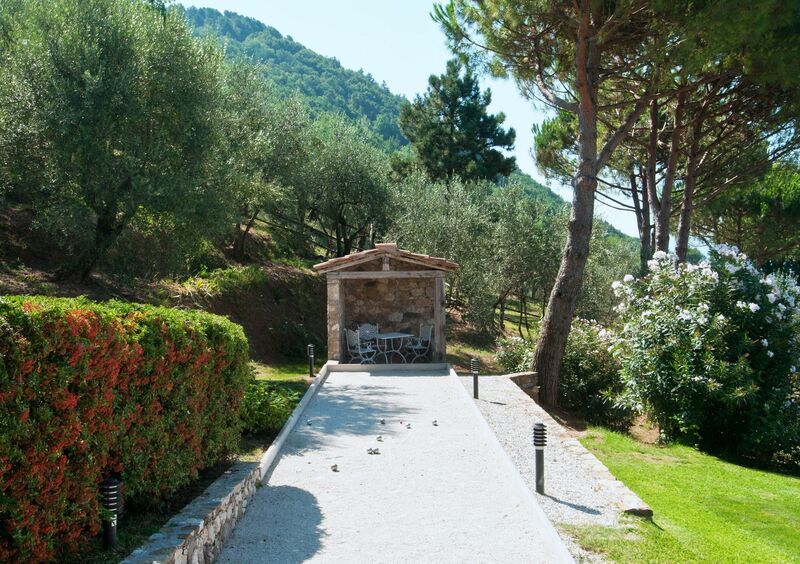 A very well maintained garden encircles the house and a big centuriesold oak tree provides a shady area, perfect for “al fresco” meals. 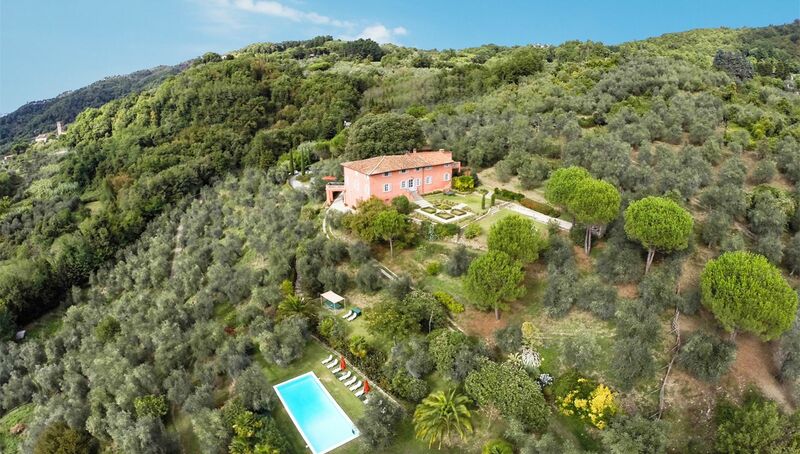 The owners have kept two farmhouses on the same estate for their own use and for the use of the multilingual house manager, about 80 meters from the villa but in no way do they encroach on their client’s privacy. 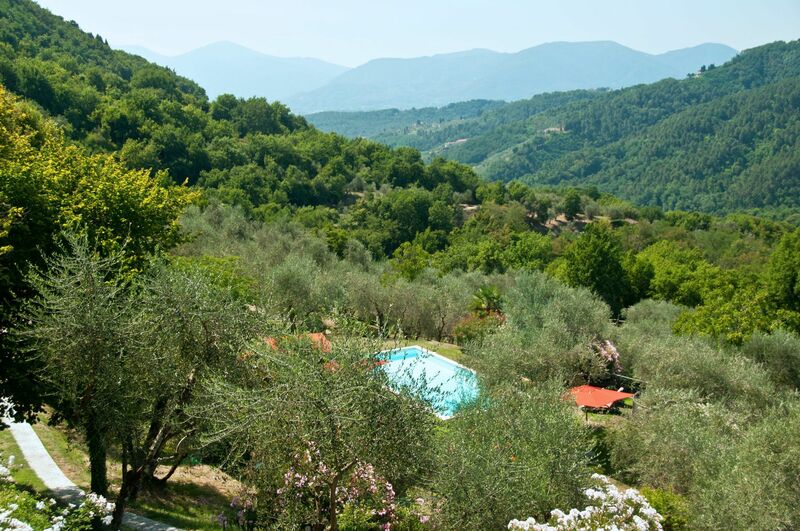 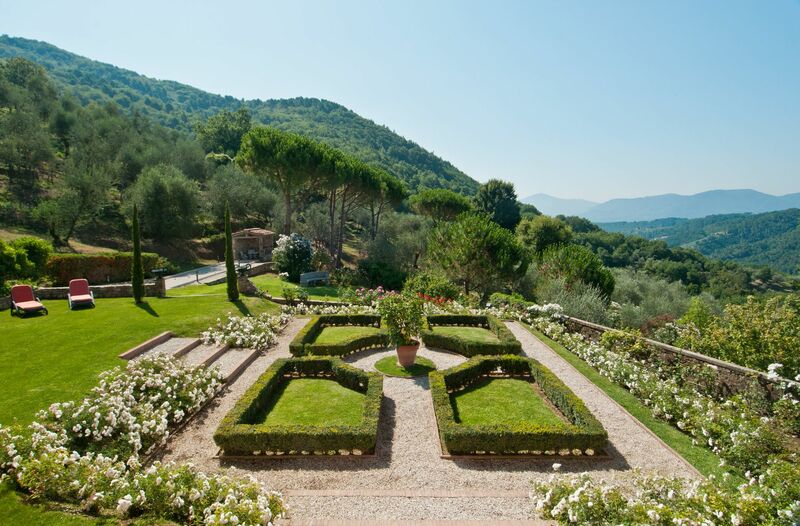 The property has its own olive grove, producing fine organic Extra Virgin Olive Oil under its own label. 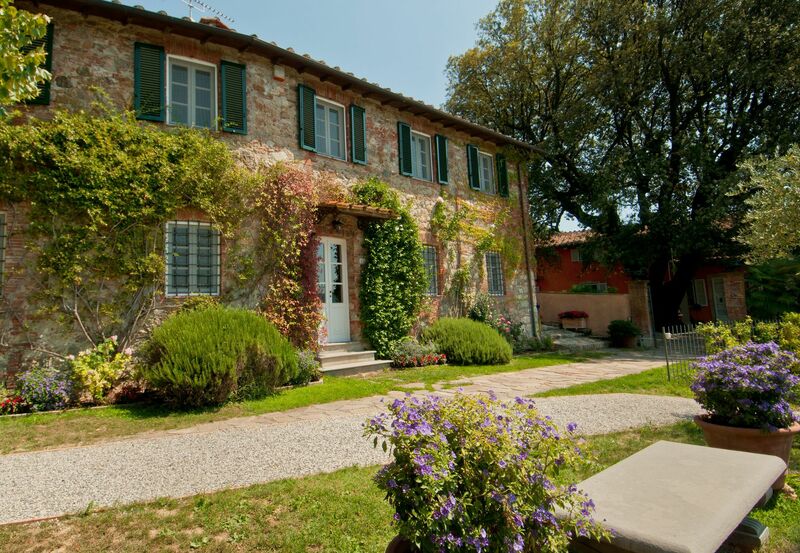 To remark: The property can be rented for 8 people only in low season. 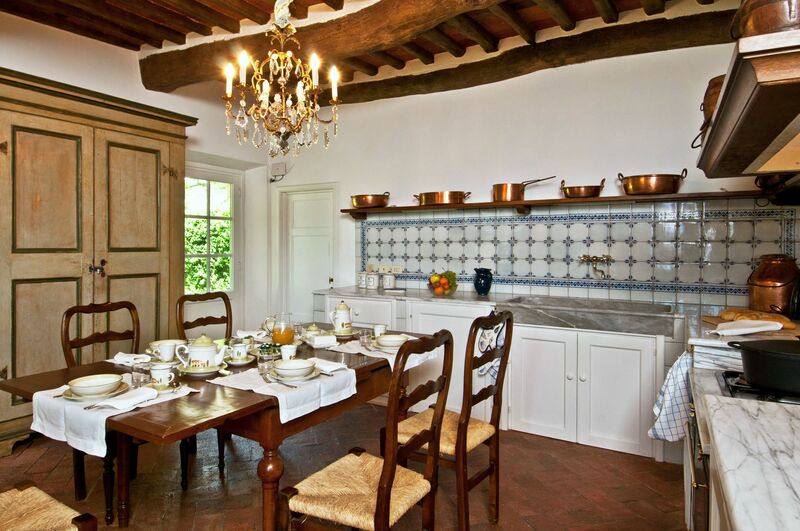 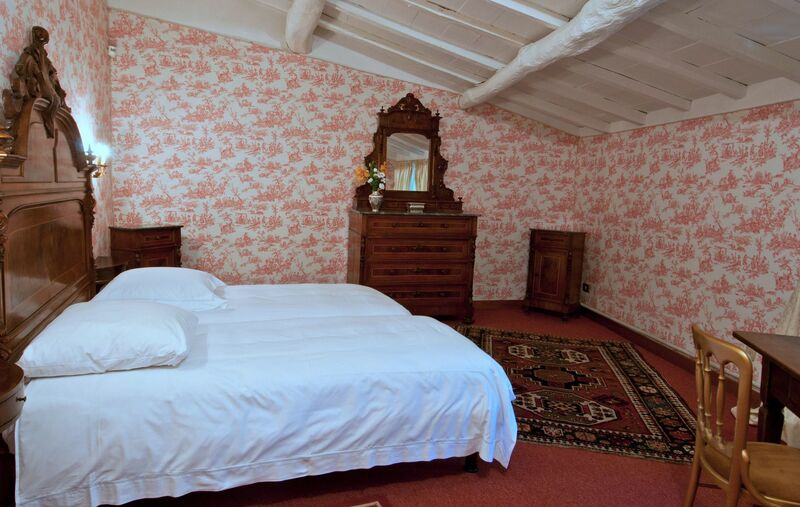 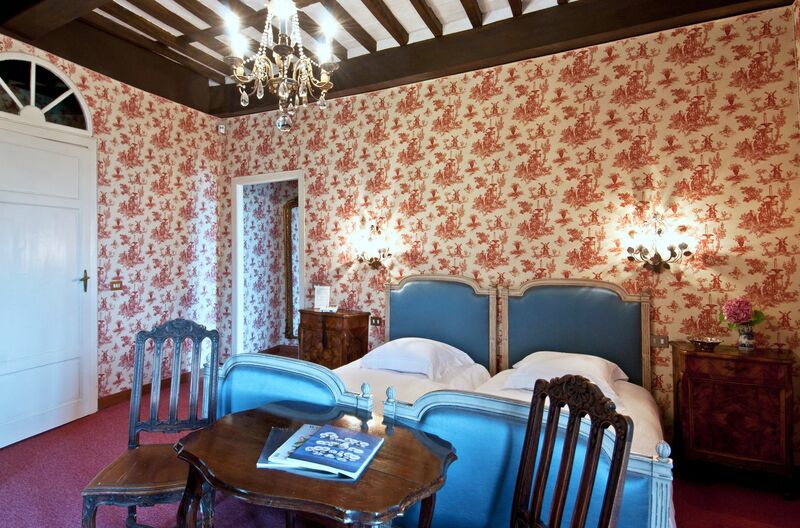 In Mid and high season it is only possible to rent the entire house (for 13 guests). 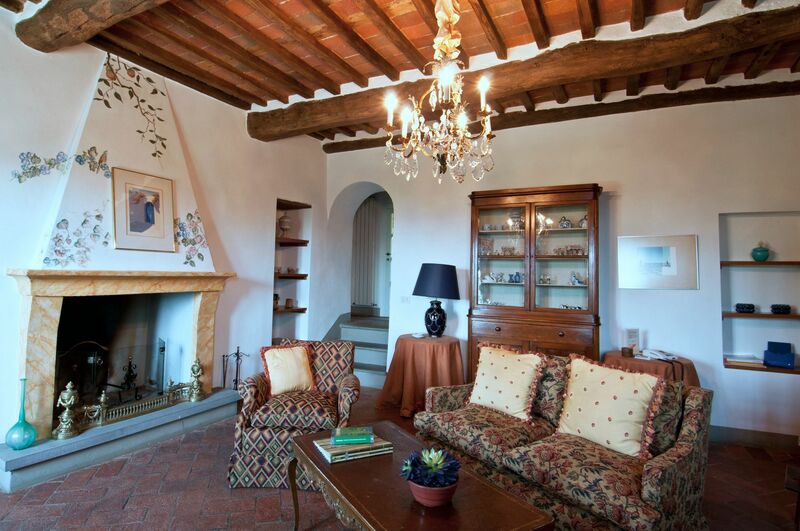 Entrance hall; sitting room with fireplace, opening to the garden; TV room with fireplace; dining room; kitchen opening on to a conservatory; breakfast room opening on to outdoor dining area; twin bedroom with en-suite bathroom (bathtub and sepatate shower). 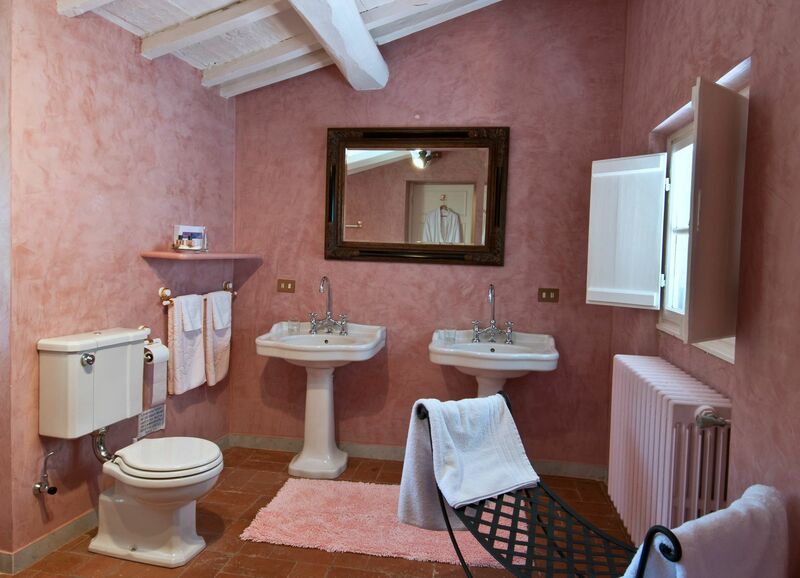 twin bedroom with en-suite bathroom (bathtub); guest bathroom. 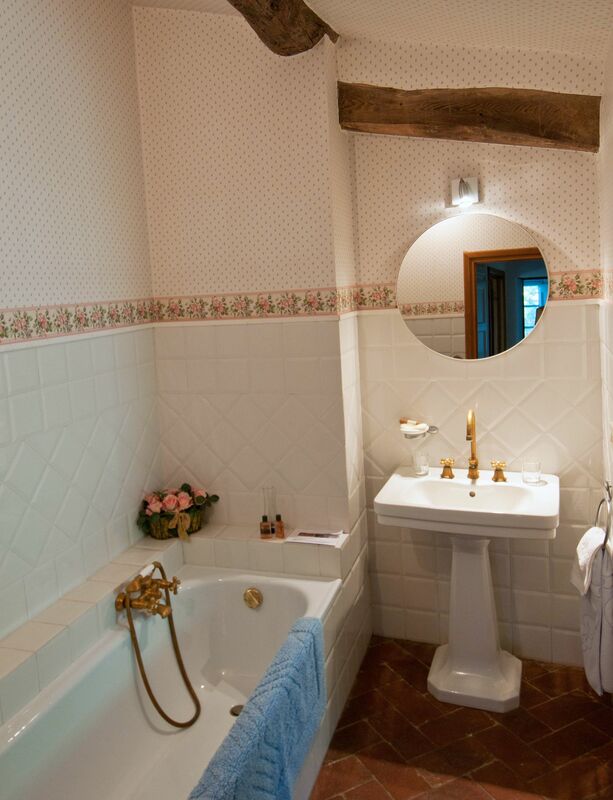 Suite compose of twin bedroom, sitting/dressing room and bathroom (bathtub); twin bedroom with en-suite bathroom (bathtub with shower). 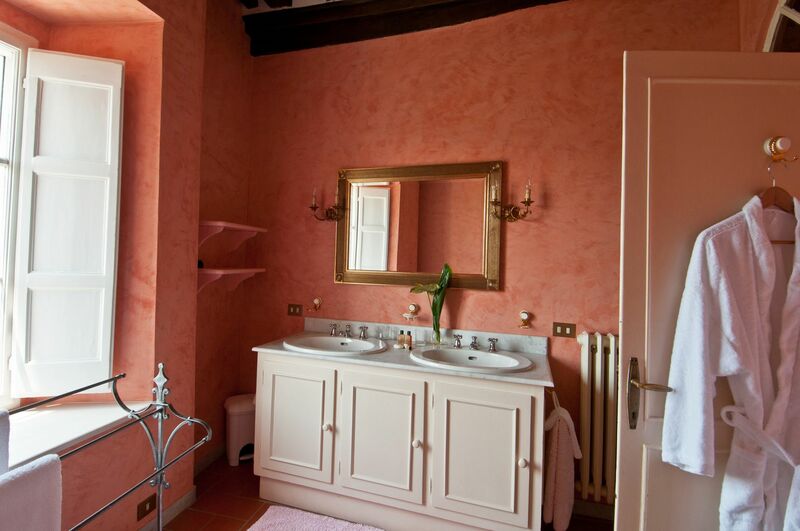 Suite composed of twin bedroom, dressing room, study and bathroom (bathtub and sepatate shower); twin bedroom with private bathroom (bathtub).